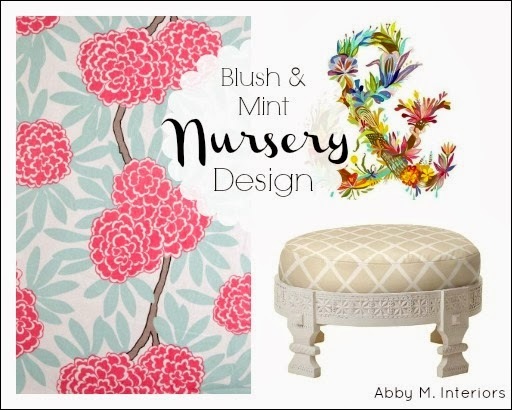 Designing a blush and mint nursery to welcome a sweet baby girl into the world is such a treat. I never tire of creating rooms for kids! When I visited my clients home, the nursery was empty. They haven't lived in their new home long, and we were really starting from scratch--love that. 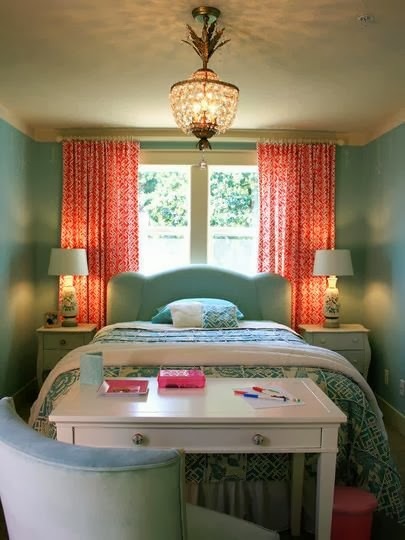 This room, by Janell Beals, was pinned to my clients inspiration board saying how much she loved the light. Obviously I was thrilled, because lighting is SO important to me. 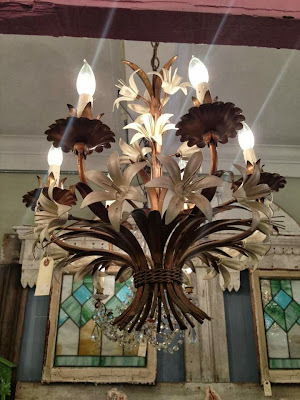 I found the chandelier for this nursery first. It's vintage brass with cream enamel flowers. It's divine and thankfully my clients loved it just as much as I did. Then, when I met with my client to select some accessories for their son's big boy room, we found this dresser to serve as the changing table. I was really excited about the trim detail across the top. The drawers opened smoothly and were quite deep. 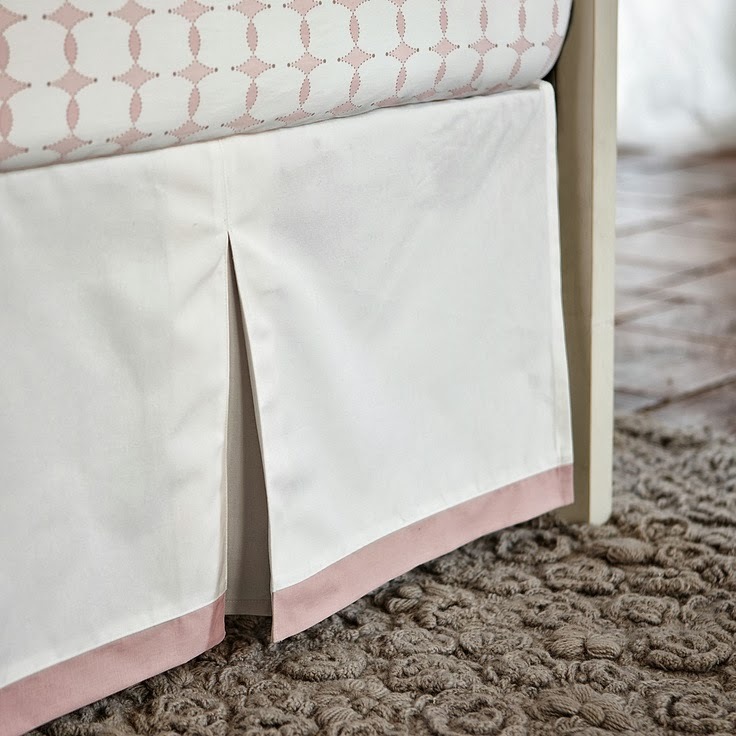 Perfect for storing all those baby girl clothes! 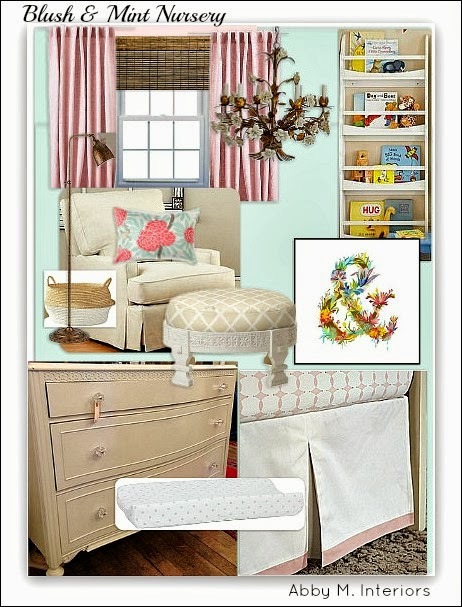 I created the rest of the nursery with those two pieces in mind. 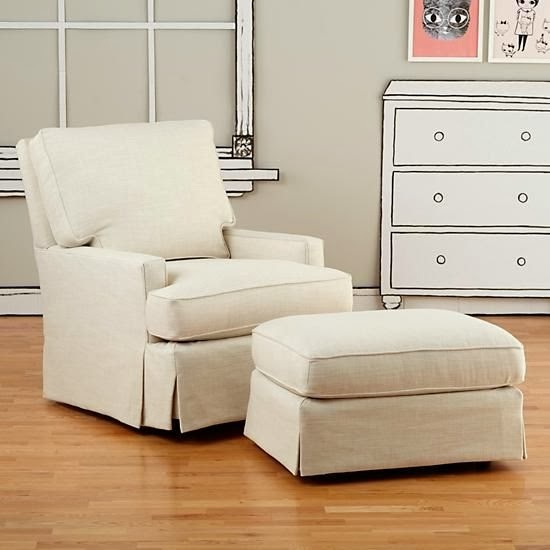 Every mother needs an incredibly comfortable glider for those late night feedings and book reading. My tip, when shopping for a glider, is to make sure the back is tall enough to support your head. You may be falling asleep in that chair! 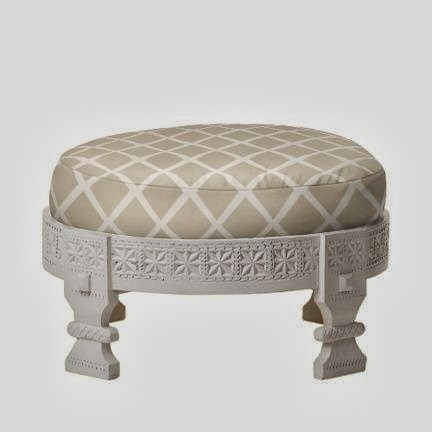 But instead of using the matching ottoman, I prefer to mix it up with a more interesting piece. This stylish ottoman is good looking enough to be moved elsewhere in the home as the nursery becomes a bedroom. But for now, it's a comfortable place to put your feet and for baby girl to pull herself up to stand and read books. The rest of the room is mostly subtle with just a few hits of color. Does this nursery feel like a sweet space for baby? My comment section is on the fritz, but I'd love to keep the conversation going on Facebook!